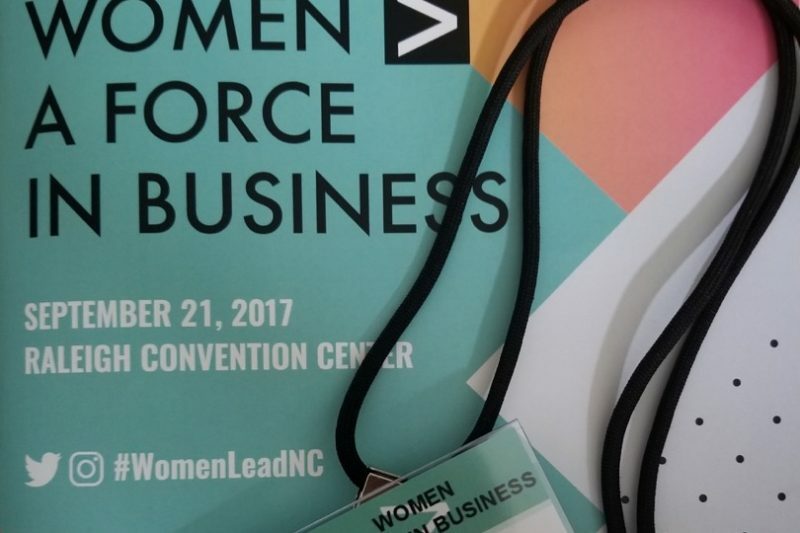 Earlier this week, I joined 750 other women leaders at the 2017 Women > A Force In Business event in downtown Raleigh NC. What an amazing event! This one-day extravaganza covered everything from wealth management, to business strategies, to building executive presence. Sponsored by Dell Technologies and a number of companies in the Triangle, this NC Chamber event left a lasting impression. Read on for my thoughts from the conference. Our women leaders in the Raleigh / Chapel Hill / Durham community are truly a force. Women leaders in North Carolina are a force in business. We soaked in advice from women in the C-suite at Fortune 500 companies and in leading roles at universities. Small business owners held a voice as well, sharing their stories and lessons learned. Others serving at nonprofits touched us with their efforts on key topics that affect all of us. Things like improving access to parental leave and affordable childcare in this state. I am inspired by these stories from women leaders, both on stage and during break-out sessions. The energy and passion throughout the day was palpable. Women’s leadership in the Triangle is only getting stronger. The audience was full of admiration for our emcee, Barbara Gibbs from ABC 11, and the other women leaders who took the stage that day. We heard Hillary Rea explain the incredible importance of story-telling. Tara Jaye Frank offered inspiring bits of wisdom on moving up the corporate ranks while nurturing family and social life. Dr. Carpenter from Campbell University revealed the importance of checking our own unconscious biases at the door. Emmy award-winning Sharon Delaney McCloud shed light on how to harness our power in a way that paves a path to good leadership. Vernice “FlyGirl” Armour encouraged us to stop waiting and take our lives to the next level. There were too many amazing sessions and speakers to list them all here. On top of that, there were fantastic exhibits from the generous sponsors of this event. As women leaders, we must continue to support and empower each other. I want to personally thank the NC Chamber, sponsors, speakers and amazing women leaders in attendance. The 2017 Women > A Force in Business event was amazing. This energy can’t happen just once a year! I encourage all of us to continue developing our professional network. Let’s look for ways to partner in business, mentor one another, connect on social media, give references and recommendations, and more. We as women leaders can expand our network and build our force — together!